House Minority Leader Nancy Pelosi would not tell Meet the Press’s Chuck Todd on Sunday that Democratic representative John Conyers, who has been accused of sexual harassment by multiple former members of his staff, should resign. Pelosi also dodged a question about whether she would suspend Conyers from the powerful Judiciary Committee, where he is the ranking Democrat, and another on whether she believed the allegations against him (“That’s for the ethics committee to review”). Her hesitance is somewhat surprising, because if Democrats want to draw a line on sexual harassment, Conyers would seem to be a good place to start. He has admitted to paying out settlements to a woman who accused him of firing her because she did not “succumb to [his] sexual advances,” an arrangement first reported by BuzzFeed last week — though Conyers has denied harassing anyone. Since then, more women have come forward to recount mistreatment by the congressman. The fact that Conyers allegedly used his power to punish underlings elevates the accusations against him above those of another prominent Democrat, Senator Al Franken, who has been accused of groping several women. 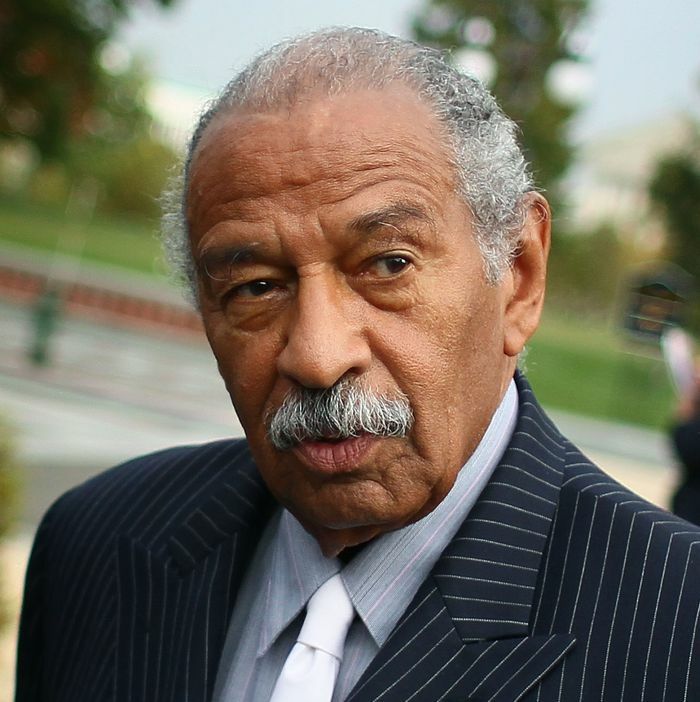 The 88-year-old Conyers is a legend in the party. He was active in the Civil Rights movement, co-founded the Congressional Black Caucus in 1969, and is the only black member of Congress in history to serve for over 50 years. But Pelosi’s mealymouthed-ness on this issue may well come back to haunt Democrats if they want to take any kind of moral high ground amid the cascade of sexual-harassment complaints against men in power.